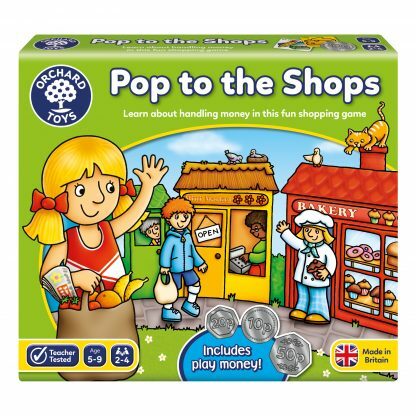 Race and count your 3D character from shop to shop, using plastic money to buy lots of different items! 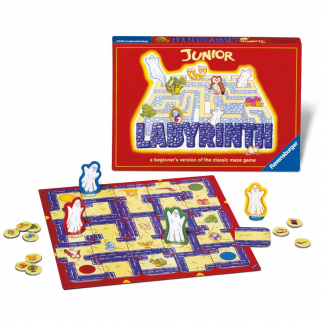 The winner is the first person to collect 6 items on their board. 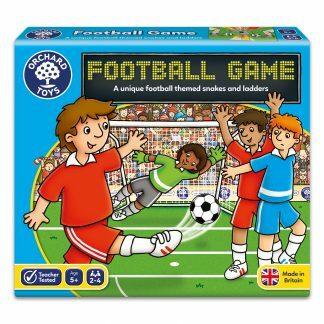 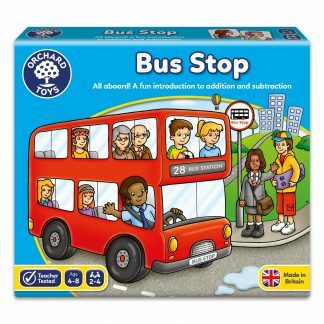 This fun board game offers older Orchard Toys fans longer and more varied gameplay than some of our traditional matching games. 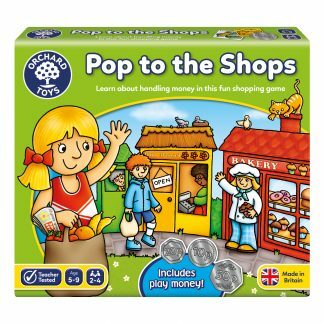 Children will learn about handling money and giving change as well as developing their imagination as they take on the roles of shop keeper and banker, playing with pretend money. 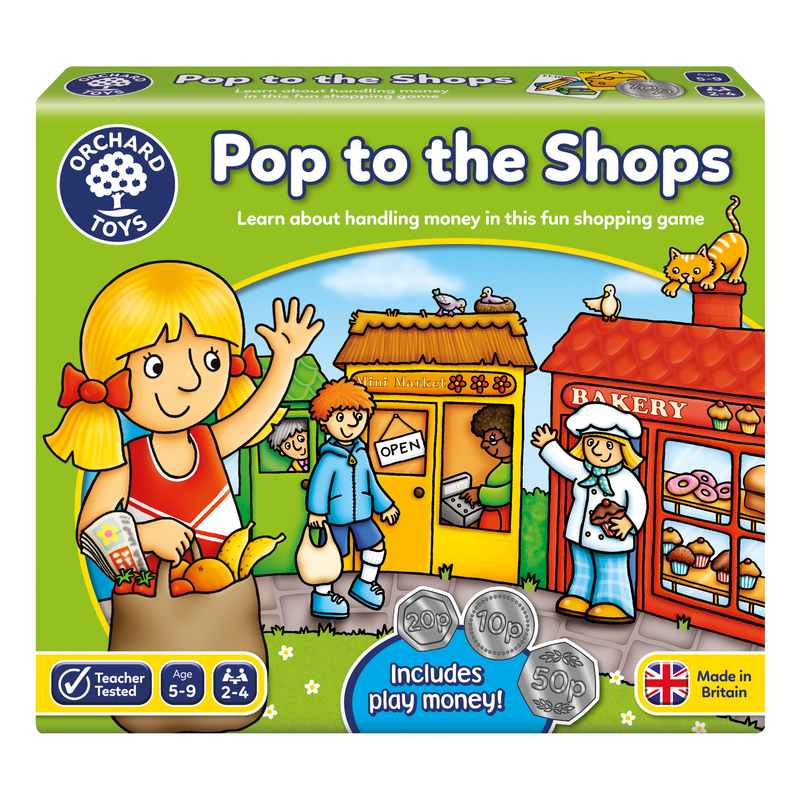 The game also encourages good manners, as players say ‘please’ and ‘thank you’ to the shopkeeper every time they buy an item. 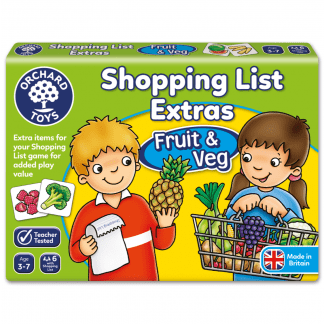 Children can also add their own tills and purses to the game for extra play value!